Oregon’s beautiful wild frontier has been calling to visitors for centuries. With forests covering 60 percent of the state, there is no shortage of scenic foliage. The rugged peaks of western Oregon’s mountainous region are home to an impressive variety of plants such as the enormous ponderosa pine and red cedar as well as an interesting array of animals like the American pika, lynxes and pronghorn antelope. Oregon’s broad landscape is home to a wide range of outdoor activities, from skiing in the snow-covered mountains to biking a forest trail to driving a dune buggy over the Oregon Coast Range. Oregon has no limits when it comes to frontier fun and adventure. Carved out of the cliff face, the beautiful cave houses a marble replica of Michelangelo’s Pieta. The surrounding grounds and gardens are full of streams and ponds and places for quiet reflection and meditation. The oldest church building in Portland, Oregon, the Old Church is listed on the National Register of Historic Places and houses an antique hand-pumped organ. The church also hosts concerts and shows. This lake that was formed by a collapsed volcano is the deepest lake in the United States. The lake and its surrounding park offer snow-shoe hikes in the winter and pristine blue water for swimming and boating in the spring and summer. You may even catch a nighttime glimpse the Northern Lights. 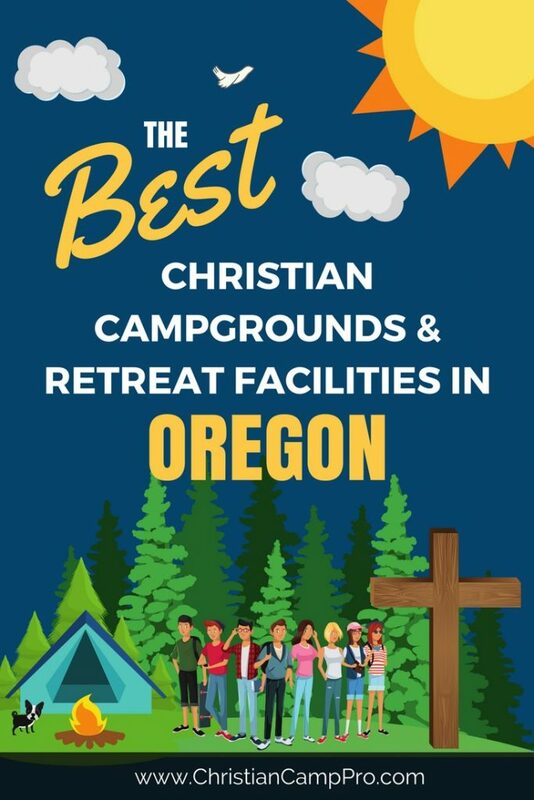 Oregon’s untamed beauty and pioneer culture make it a great choice for hosting youth camps and adult retreats. Its rugged mountains, clear lakes and unspoiled wilderness provide unlimited opportunities for unique adventures. Whether you’re looking for snowy winter-time fun in the mountains, forest hikes in the colorful fall foliage or a chance to dive into a crystal blue lake in the heat of summer, Oregon is sure to please.